In many ways, Glastonbury is like loads of different festivals converging on the same gorgeous countryside for the weekend. Each area of the Festival has its own character, its own loyal fans and its own special attractions: so Silver Hayes (formerly the Dance Village) is as distinct from the Green Fields as the Circus & Theatre fields are from The Park. 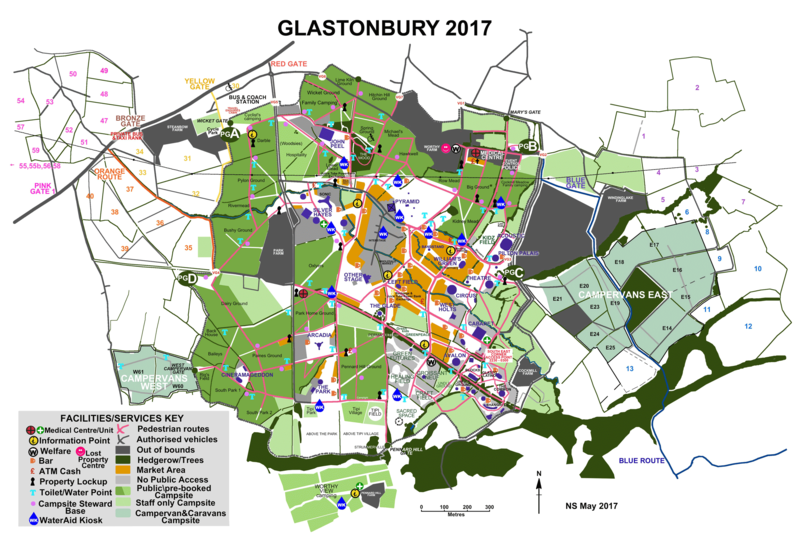 Please bear in mind that between 10.30pm and 3.00am, access to the South East Corner and the effervescent late night spots of Shangri-La, Glasto Latino, The Common, Unfairground and Block9, will be from the South East corner of Bella’s Field. Click here for the 2017 Festival Map.